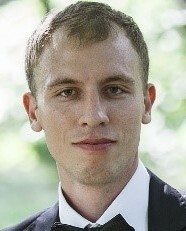 Rustam Kagirov was born on October 29, 1985 in Miass, Chelyabinsk region. In 2009 he graduated with honor from Kazan State University and in 2012 defended Ph.D. thesis in physical chemistry in Institute of Organic and Physical chemistry of Russian Academy of Sciences. From 2012 to March 2014 he worked in OJSC “TATNEFT” as an engineer of Subdivision of Composite Materials of Hydrocarbon Refining Division and from 2013 up to March 2014 as a Manager of Department of Pultruded Structural Profiles Manufacture. Trained in Germany, Italy, China and US. Joined Skoltech in April 2014.